When I learned late last week that the United State House Agriculture Committee was having a hearing on March 22, I immediately made contact with members of the committee regarding the possibility of me testifying at the hearing. I was told all slots were filled up. So, I immediately wrote my testimony and finally, a day before the hearing, I was told my testimony would be passed out to members of the committee (which it was). When the hearing began, I noticed there were only two witnesses. 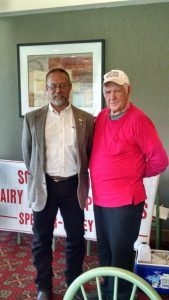 One was Jim Mulhearn, President and Chief Operating Officer of the National Milk Producers Association, and the other was Dr. Michael Dykes, President of the International Dairy Foods Association. Actually it appeared that 90% of the conversations centered around the feed adjuster in the ill-fated Margin Insurance Program. Everyone including many of the members of Congress, felt improving the feed adjuster would solve the dairy farmers’ problems. WAIT A MINUTE! Has everyone completely forgotten that the Margin Insurance Program only covers about one-half of the dairy farmers’ costs of operating their dairy farms? What about all other costs that dairy farmers live with every day? While some of the Congressmen related to the problem of losing dairy farmers in their own state, none of them challenged anyone to illustrate what can be done to correct the inequities facing dairy farmers. The testimony which I passed out on behalf of Pro-Ag and etc. illustrated the solutions to correct the dairy farmers’ problems. In addition, the National Family Farm Coalition also sent a letter to the House Ag Committee similar to our suggestions. We urge the committee members to examine the Federal Milk Marketing Improvement Act which had been introduced by the late Senator Arlen Specter and Senator Robert P. Casey, Jr.
Production (this would be done by the Economic Research Service, a division of the USDA). 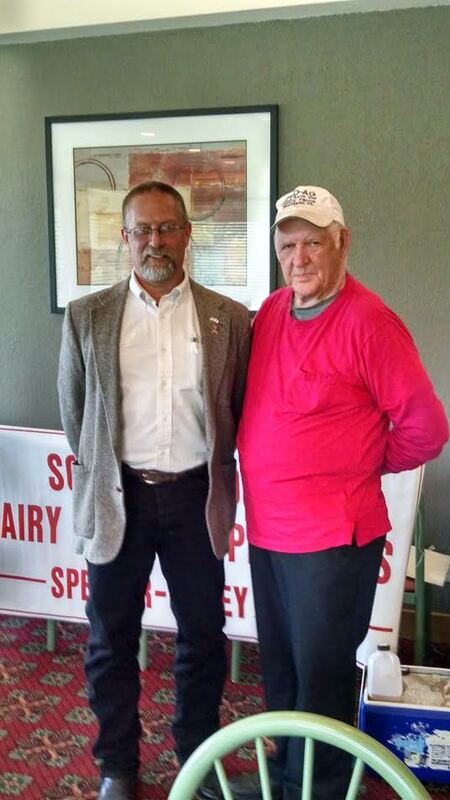 Develop a supply milk management program that would be paid for by dairy farmers. The school lunch program must allow WHOLE MILK in all school cafeterias. Repeal the existing language in the present Farm Bill that restricts the USDA from implementing a milk supply management problem. This is a must! A review is needed which will determine the effect that milk protein concentrate (MPC) powder or liquid has on many food products and may be adversely affecting dairy farmers’ prices. All of our suggestions would eliminate the need for the Margin Insurance Program, which has given false hope to many dairy farmers. I must report that both Dr. Dykes and Mr. Mulhearn along with most members of the House Ag Committee did support amending the school lunch program to allow WHOLE milk back into our school cafeterias. Let’s not stop at 2%; let’s allow schools to use whole milk as it comes from our cows. Conclusion: We must maintain the viability of the dairy farmers’ existence which also would have a positive effect on our rural economy, which presently is depressed in many areas. For once, let’s give our dairy farmers a real chance to produce milk for a real market. Pro-Ag can be reached at 570-833-5776. This entry was posted in Blog, Releases and tagged agriculture hearing, Dairy, Federal Milk Marketing Improvement Act, pricing policy. Bookmark the permalink.